Martin Bart manages this domaine in Marsannay with his sister. 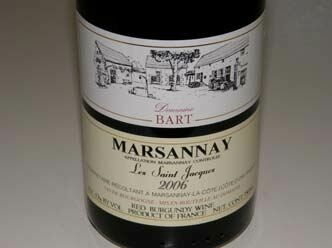 Bart has prime vineyard land in Marsannay including the lieux-dits Les Echezeaux, Les Grandes Vignes and Les Longeroies. Also produces wines under the Domaine Saint-Martin label. The wines are imported by Latitude Wines, Inc., Danville, CA.